Scrum Sevens: Four years older, but any wiser? England Saxons coach Stuart Lancaster was this week forced to defend the national side's increasing reliance on overseas-born players following the selection of South African lock Mouritz Botha in their Churchill Cup squad. As we all know, England are not alone in admiring the fruits produced by other nations. In Scrum Sevens we've taken a look at a few more players who have bridged gaps between nations at the highest level. One of rugby's great nomads, Noriega won his maiden Test cap for the Pumas against Paraguay in 1991, racking up 25 appearances before calling it a day with his native country at the 1995 Rugby World Cup. The following year he moved to Canberra, where he linked up with the ACT Brumbies for their first season of Super Rugby. His sights were set on a Wallabies jumper and after two seasons Down Under he realised his aim, making his bow for Australia against France in November 1998. A shoulder injury prevented the tight-head from playing any part in the Wallabies' Rugby World Cup victory in 1999 and following the tournament he enjoyed a brief sojourn with Stade Francais, returning to Australia with the Waratahs in 2001. He regained his Wallabies spot in 2002 - three years after his last Test - and also played three games against the touring British & Irish Lions in 2001, for Western Australia, the Waratahs and Australia 'A'. A former New Zealand Under-21 and Maori representative, Flutey left Wellington and the Hurricanes in 2005 for a contract with London Irish. After a successful spell with the Exiles he was off to Wasps, where he would impress enough to with the coveted award of Rugby Players' Association Players' Player of the Year in 2008, the same year that he made his England bow during the November Tests. The following season some strong Six Nations form allowed the centre to complete a rare double when he was selected for the British & Irish Lions' tour to South Africa. His introduction off the bench in the opening tour game - against the Royal XV - made him only the second player to play both for and against the Lions, having turned out for Wellington against the tourists in 2005. The only other holder of this distinction is Irish forward Tom Reid, who toured with the Lions in 1955 before lining up against them in 1959 as part of Eastern Canada. Born in Auckland and raised in Tokoroa, Waikato, Cooper relocated with his family to Brisbane aged 14. Having spent his formative years playing league in New Zealand, the prodigiously talented fly-half was integrated into the Queensland schools system with a scholarship to the Anglican Church Grammar School, and he was soon playing for Australia Schoolboys alongside the likes of David Pocock, Lachie Turner, Rob Simmons and Kurtley Beale. Call-ups to the Australia squad at the Junior World Championship and the Reds senior side followed, with a full Test debut coming in 2008. Cooper's love of league has been a bone of contention in recent years due to hovering NRL clubs, but he is currently the poster-boy for Robbie Deans' exciting young Wallabies outfit, having committed his future to the Australian Rugby Union through to 2012. 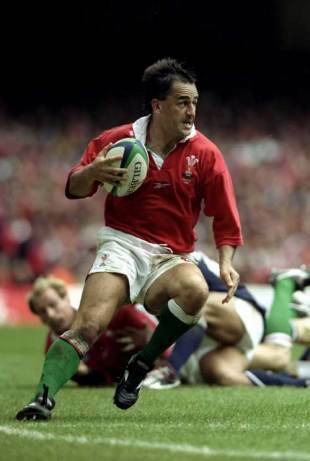 Capped four times by New Zealand in 1994, Howarth's later career, following the advent of professionalism, cast him as one of the key figures in the damaging 'Grannygate' mess that engulfed Welsh and Scottish rugby in 2000. Alongside Brett Sinkinson, not an All Black but certainly a Kiwi, Howarth had been integrated into the Wales setup by Graham Henry, with both claiming eligibility on grandparental grounds. Sinkinson was later shown to have a grandfather born in Oldham, not Camrthen, while Howarth could not provide documentary evidence. English-born prop Dave Hilton, capped at 41 times by Scotland that point, was also shown not to have a Scottish grandfather, but a Bristolian one. The IRB was relatively lenient in their judgement, but all three players were ordered to complete residency periods before becoming available for selection. Sinkinson and Hilton both returned, Howarth did not. A scrum-half and fly-half, Graeme and Stephen Bachop represented three Test sides between them, with the All Blacks being the common denominator. Graeme made his Test bow for New Zealand in 1989 against France, two years before his older brother entered the international arena in the colours of Samoa. In 1994 the pair were united at half-back for their native New Zealand, Stephen playing four of his five All Black Tests in harness with his brother. By the end of 1995 both players were gone from the All Black ranks, Graeme having taken up a contract in Japan following the Rugby World Cup. In time for the game's next global gathering in 1999, both were back in action - Graeme for Japan and Stephen in Samoan colours once more. To complete their remarkable round-trip, they played against each other twice that year, once in Osaka and later in a World Cup Pool game at Wrexham's Racecourse Ground. The honours finished even and in both games there was another familiar face - former All Black back-rower Jamie Joseph, who was by that time representing the Cherry Blossoms. Born in Suva, Fiji, Sivivatu made his Test bow for the Pacific Islanders in 2004. In his second match he bagged a brace against the All Blacks, a side that less than 12 months later he represented as they routed his home nation 91-0 in North Shore City. The electric winger led the way with four tries while coming off the bench in that game was Sione Lauaki, another former Pacific Islands graduate. Sivivatu went on to rack up an outstanding return of 31 tries in a total of 46 Tests before agreeing a move to Clermont Auvergne in 2011, a switch that placed him squarely in the spotlight generated by the IRB's decision to prevent players representing smaller unions after 'standing down' for a set period of time. Developing rugby nations, notably the Pacific Islands, were understandably disappointed not to benefit from an influx of talent emanating from New Zealand, Australia and the northern hemisphere. Now one from the other end of the scale. Fly-half Frano Botica won seven All Black caps between 1986 and 1989, later turning to league after failing to oust Grant Fox from the No.10 jersey. There, he represented Wigan and the Auckland Warriors, returning to union with Llanelli in 1995. As the 1999 Rugby World Cup loomed, competing nations were made to qualify for the tournament for the first time. Croatia, the country of Botica's grandparents, were drawn alongside Moldova, Norway, Bulgaria and Latvia in a pre-qualifying group. Their former All Black slotted 23 points from the tee against Latvia to guide them into the second round, where he was ruled out by injury until a crunch meeting with Italy in June 1998. In that game Botica shared 27 points with another former All Black, Matthew Cooper, but his side were beaten 39-27.